This is what a Minecraft resource pack can do to your world. This is what a Minecraft resource pack can do to your world. 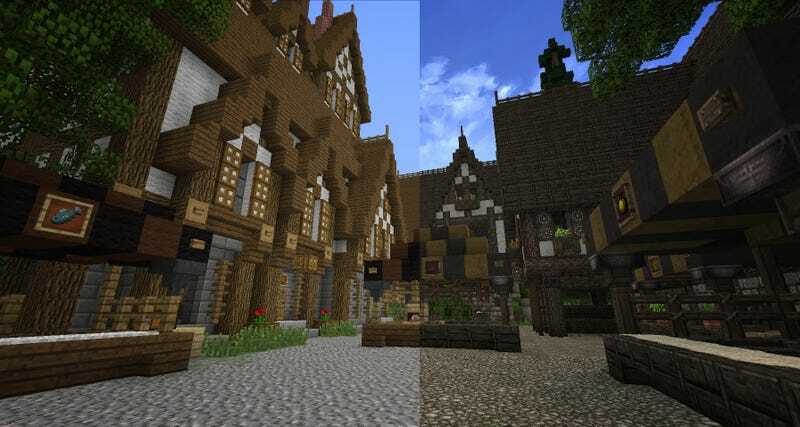 These shots come courtesy of udlose, soldier and the builder behind Autumnvale—now known as Ambervale—and they show off the capabilities of the Conquest pack, with vanilla Minecraft on the left and Conquest on the right. Two more below.